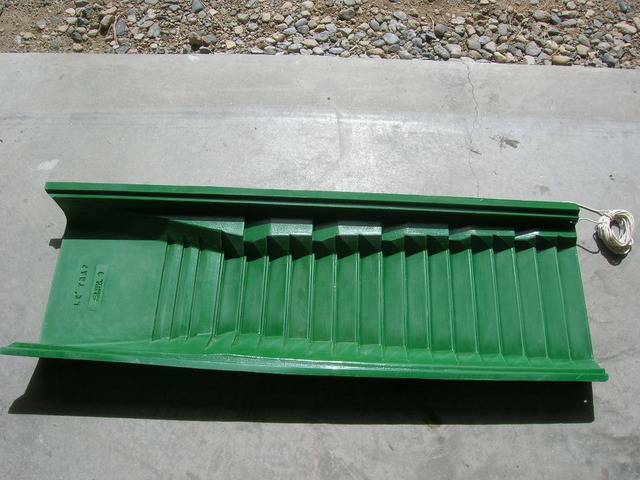 Last Summer I lost my $100 green plastic Le Trap sluice in the Arkansas River one day... The water came up and/or the rocks holding it gave way....and away it floated until it was out in the middle of the Ark, out of sight in the deep, fast white water. Bummer! SO, I installed a sluice "leash" and whenever I am on the river, any stream/place I MIGHT lose it again, I tie the leash to a stick and sit a BIG rock on the stick. This way IF the sluice ever washes away I may lose my cons BUT I'll be able to reel my $100 Le Trap back in! I used a 1/4 inch hole I drilled on both sides and about 15 feet of parachute cord. Works great! 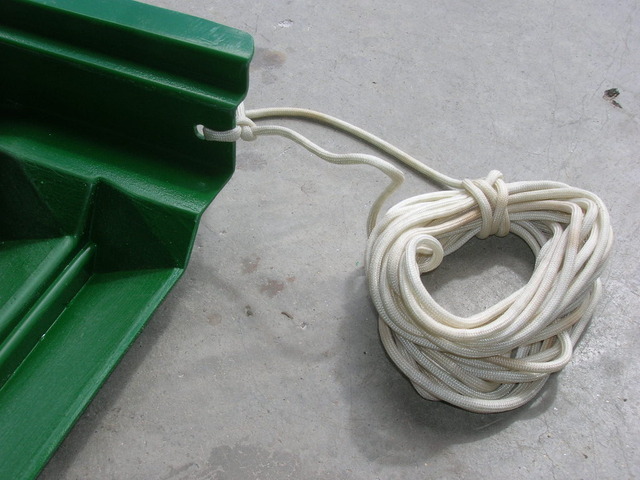 AHHHHHHHHHH a tether cord! wounder where I heard that before!